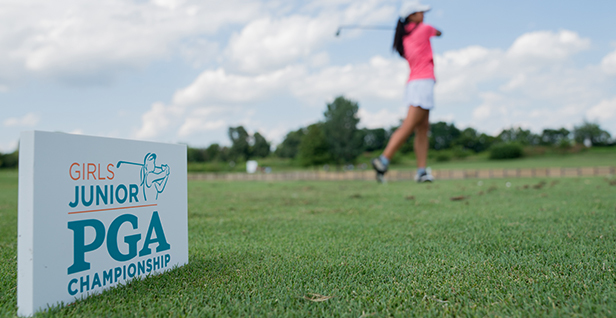 Lexington, Kentucky – The first round of the 43rd Girls Junior PGA Championship was played at Kearney Hill Golf Links Course today in Lexington, Kentucky. Brooke Boardman and Anna Jensen are representing the Iowa PGA Section after their first and third place finishes respectively at the 43rd Iowa Girls Junior PGA Championship. Boardman carded a 3-over-par 75 in the first round and currently sits at T70, which is right on the 36-hole cutline. The Waukee native tallied 14 pars and one birdie on day one. She tees of in the second round at 1:10 p.m. tomorrow. Jensen finished round one at 10-over-par 82. The 16-year-old carded nine pars in her opening round, and will continue her tournament tomorrow at 1:30 p.m. Following the conclusion of tomorrow round there will be a 36-hole cut, reducing the field to the low 70 players and ties. Updates on tomorrow’s round and the remainder of the 43rd Girls Junior PGA Championship will be provided on the iowapgajuniorgolf.com website and the Iowa PGA social media pages.